Notwithstanding 50 years of Maltese Independence, the 164 years of British rule over the Maltese islands have left their indelible mark in many different ways. Notwithstanding 50 years of Maltese Independence, the 164 years of British rule over the islands have left their indelible mark in many different ways. Perhaps the most precious heritage left by the British is the English language itself. Long before the rest of Europe realized that English was the world’s lingua franca, the Maltese were already fluent in the language. In spite of the strong Italian cultural influence – natural enough due to the two countries’ geographical proximity – Italian language education was replaced by instruction in the English language as far back as 1878, while the use of the Maltese language was encouraged in the primary years. More than a hundred years down the line this visionary change not only made Malta an officially bilingual country, but was a crucial selling point when Malta started pursuing tourism in the 1960’s. In recent years this fact has also spurred a growing TEFL industry, with thousands of students making for Malta in the summer months to learn English. The latest student of note to visit for this specific purpose is Poland’s former Prime Minister Donald Tusk - something he felt was necessary prior to taking up a post on the European Commission. The British legacy in architecture is also strong. Sadly one of the most important buildings of that era is no more. 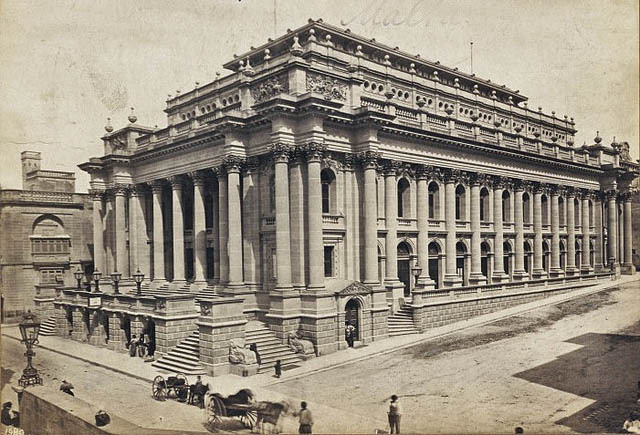 Malta’s Royal Opera House was totally destroyed by Luftwaffe bombs in 1942 and never rebuilt. The remains have finally been rehabilitated into an open air theatre – part of Renzo Piano’s Valletta project. 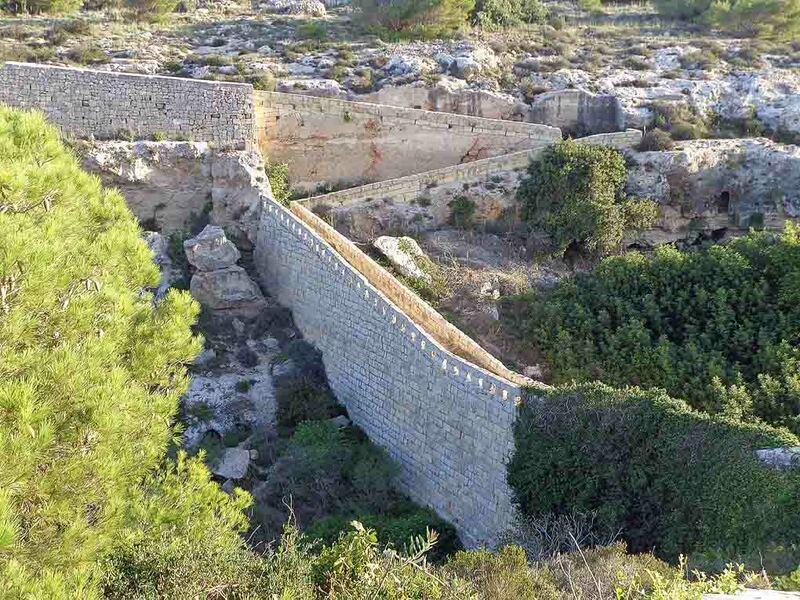 Like Malta’s previous rulers, the British added more fortifications to the island. Perhaps the most curious of the British defences are the Victoria Lines – a defensive wall running some 12 kilometres across the island and meant to halt any seaborne invasion coming from the vulnerable northern shores. 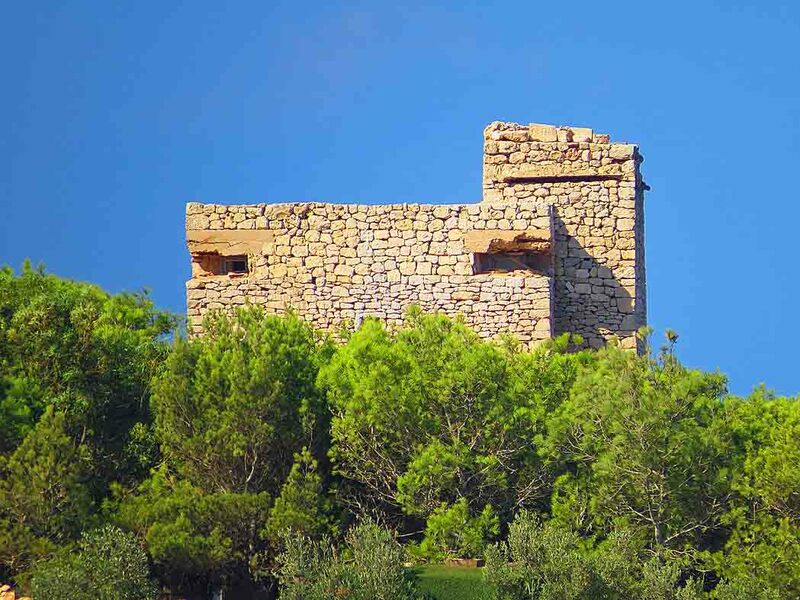 A number of well-preserved forts add strength to the line. Constructed between 1872 and 1888 the wall was revealed to be of dubious defensive value by 1900 and practically abandoned by 1907. In parts the wall still remains with Bingemma having the best preserved stretches. The Second World War probably did more than anything to strengthen the two nations’ ties and the island was collectively awarded the George Cross in 1942 when the Grand Harbour area was for a time the most bombed place on the planet. It was a time when many British servicemen were stationed in Malta, inevitably resulting in marriages with locals. Around 7,500 military and Merchant Navy personnel lost their lives in Malta’s defence and most are interred in a number of War cemeteries that dot the island. These are well kept places still maintained meticulously by the Commonwealth War Graves Commission. Other reminders of the British era are everywhere. In the towns a number of the red telephone boxes famously designed by Sir Giles Gilbert Scott remain. 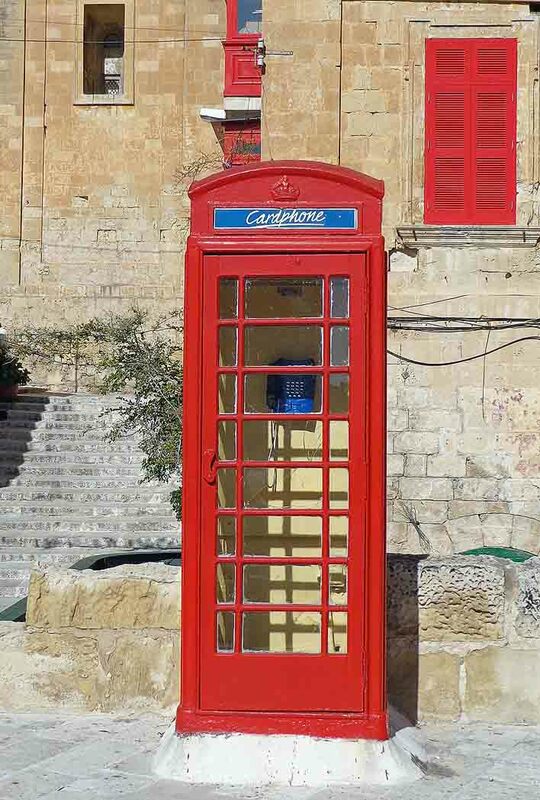 Pillar and wall mounted post boxes are also a feature of the Maltese townscape – some dating back to Queen Victoria’s reign. The countryside also features some British curiosities. 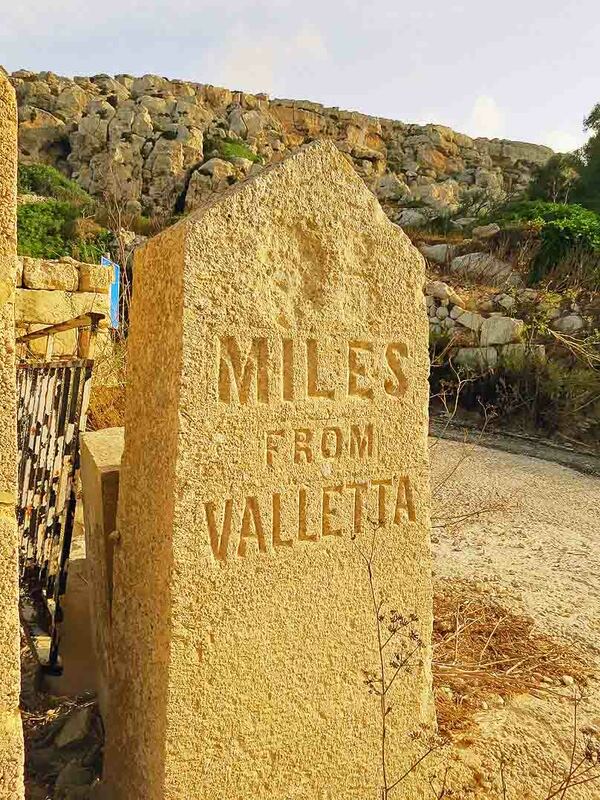 Milestones denoting distances from Valletta are common along country roads; although most are still in place they are invariably defaced, a precaution from war time days when the fear that they would aid any potential invader was a very real one. There are also a number of military pill boxes and lookout posts out in the countryside. Some of these feature local stone cladding for camouflage purposes and so blend quite well with their surroundings. One other strong link is football – the island’s most popular sport. Introduced in Malta in the mid-nineteenth century, the game proved so popular that Malta had its first championship by 1909. Many Maltese still follow English clubs religiously and the Manchester United Supporters Club Malta, founded in 1959, is recognised by the club as being the oldest in the world. 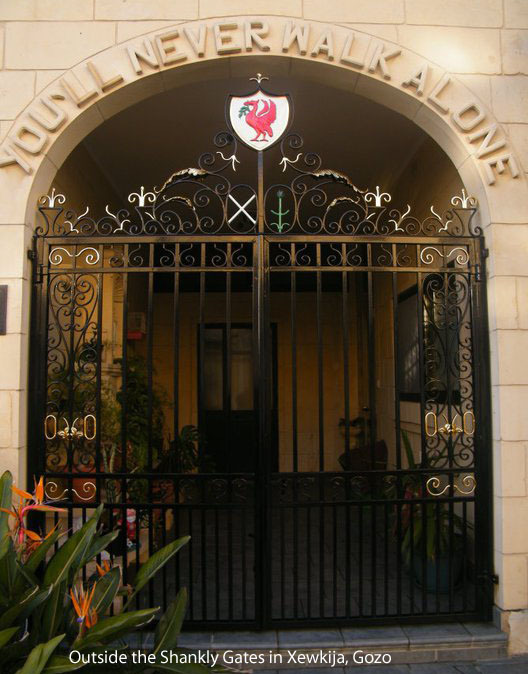 Houses and bars with names like Anfield, Old Trafford and The Bridge can be spotted in almost every locality in Malta.